Your diet should be a combination of right amount of carbohydrates, proteins and fats. Sweating it out in the gym leads to loss of body fluids and electrolytes. Use the mantra that ‘slow and steady wins the race’. You cannot lose excessive weight you’ve put on in a day’s time by sweating off in a gym. In fact working out rigorously even when your body tells you to stop will add to your troubles rather than helping you. Workout fatigue is usually caused due to working out for prolonged hours in the gym to attain the desired body, which is practically and technically impossible. Workout fatigue that keeps bothering you for successive days is identified as the most common reason why people drop-out from fitness centres and gyms. 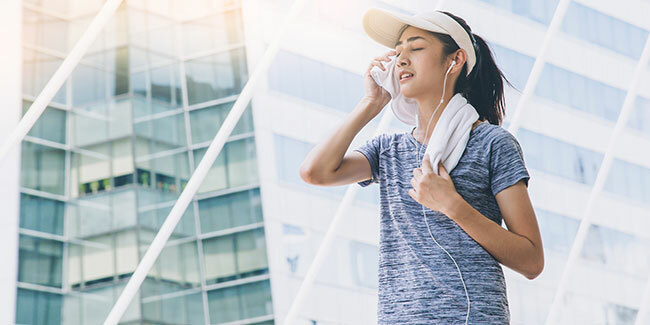 Here are some tips to avoid workout fatigue while you keep working on your fitness and health. To religiously follow your trainer’s advices, you require ample of energy. But where does it come from? Well, it is the food which produces energy for your strenuous workout sessions. Muscle building is directly associated with the kind of food you take before and after every workout session. Your diet should be a combination of right amount of carbohydrates, proteins and fats, which will give you all required nutrients that are essential for preventing exhaustion and tiredness after workout session. Sweating it out in the gym leads to loss of body fluids and electrolytes, which can certainly cause dehydration. Exercising utilises your body’s carbohydrate stores. You can drink plain water to prevent dehydration, but it does not replenish the lost carbs and electrolytes, thus other fluids, such as fresh fruit juice must be consumed. After an intense workout, do not immediately take fluids. Give some time to your body to recuperate from calorie burnout. Another important point to remember is smart training. If you’ve just begun gymming, then you may use the mantra that ‘slow and steady wins the race’. Instead of daily goals, strive for weekly or monthly goals, such as 5 kgs in a month. First. aim to build your metabolish and then start with intense workouts. The more pounds you burn, the more calories you’ll need to keep going on. However, this time the calories need to be from healthy sources. Make sure you take enough rest and include all essential nutrients in your diet. If you’re experiencing muscle fatigue after workout session and other aches, you may ask your trainer to suggest some cross training exercises and you may engage in low-impact physical activities, such as walking and swimming to relieve the pressure on the muscles. It is imperative that along with following the above mentioned tips, you also take note of your twinges and aches that you experience frequently because they may indicate an underlying medical condition.